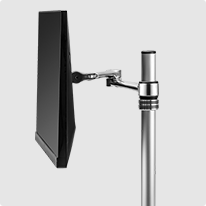 The AWMS-D40 is a single monitor spring arm attached to a 400mm post. Its spring-assisted design with three points of articulation and landscape to portrait rotation enables effortless adjustment from a seated position and is the ideal solution for Activity Based Workplaces. The arm incorporates a spring tension visual gauge indicator to save time and effort with multiple installations. The flexibility extends to the choice of desk fixing options (not included). Built from lightweight and yet durable aluminium, the mount can be easily recycled at the end of its life. 1 x AWM-AD dynamic arm, 1 x AWM-LC channel clamp and 1 x AWM-P40 400mm post. Choose your mounting option from a range of desk fixings (not included). 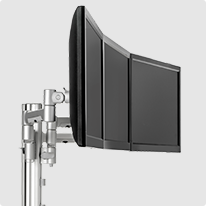 Ideal for: Displays up to 34” in an offset side-by-side position. 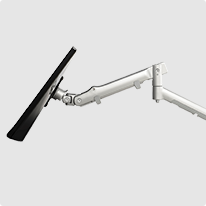 Spring-assisted arm provides the ultimate in ergonomic support and allows the display to be adjusted effortlessly from a seated position. Perfect for Activity Based Workplaces and Shared Environments. Upgrades: The display mounting head can be replaced with the SNTB notebook holder (sold separately). 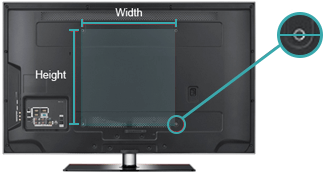 An additional arm can be added to create a triple display configuration.